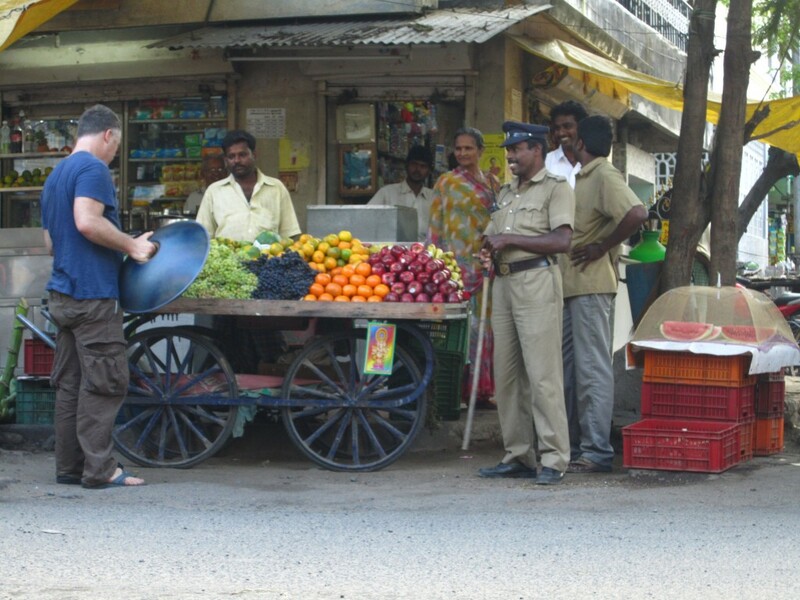 India is bright with colors and traffic and fresh fruit and crowded streets and life flowing in all directions. Time to study with my drum teachers and drum most of the day. My apartment is on the forth floor of the building where my teachers live and provides me with quiet and lots of light to really drop into drop into my own flow. I am washing my cloths by hand daily and hanging them to dry on the roof ( i love doing this …something about it feels so good) and primarily eating papaya and pineapple throughtout the day. As I settle into my space in the busy city of Chennai I feel the pulse of simplicity return.